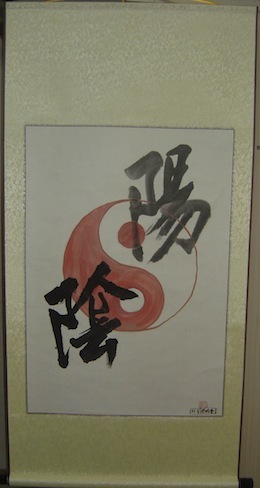 Paintings and images of Taoism. Click on the image for more information, or see owners of some with low serial numbers. 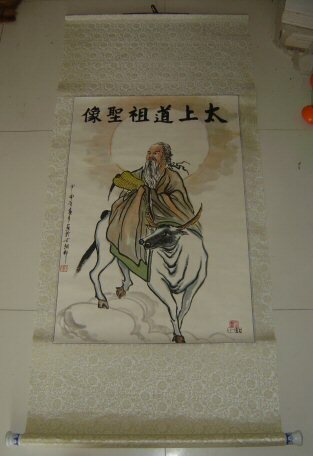 Welcome to this Tao Art gallery, where you can find all types of Taoist art. 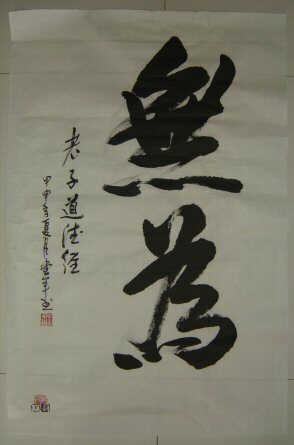 Order a Taoism scroll painting, poster, or even a CD audio. Each one is serialized with a number and actually shipped from China. All the images you see on this page can be click on. Please click on each image to view more information about the painting, including historical background, educational videos, and other related art pieces. 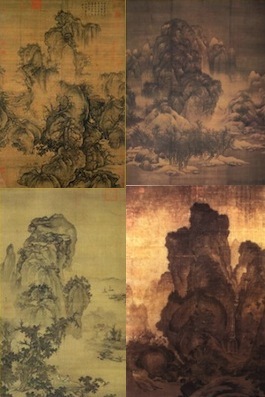 All of the paintings are done in classical scroll painting style, and come in a scroll format (even those that are shown without a scroll come on a scroll now). The scrolls and posters in this art gallery are all available for purchase. 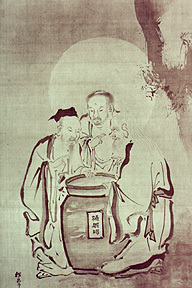 The main subject matter is related to taoism (and some buddhism.) 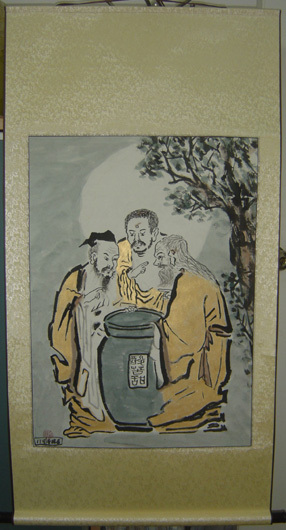 All the scrolls are custom painted and shipped from China by a master painter via SAL (Surface Air Lifted), and takes approximately 4-5 weeks for delivery. Add 2 weeks if customs opens it. For countries that do not support SAL, the package is shipped via surface mail, which takes approximately 6-8 weeks (longer for other countries). 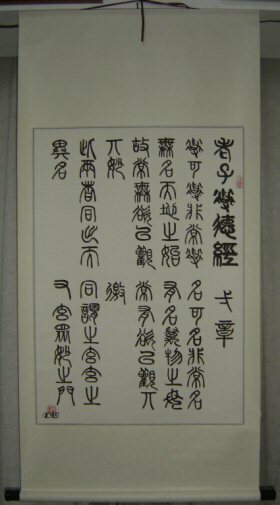 The scrolls are painted in the same material as they were made in ancient China: on calligraphy paper that can be rolled up into a scroll. 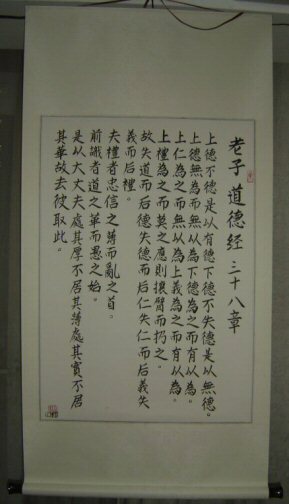 The surrounding scroll portion is a strong two-ply material, with front side made of cloth, and the back side made of strong paper. 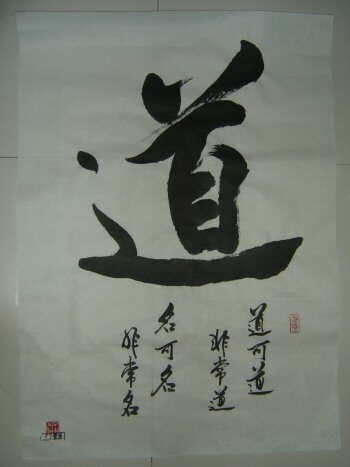 If you are even more selective, the same calligraphy style (zhuan shu, kai shu, etc.) of the ancient period for many of the works are available as well. The main method of payment accepted is PayPal, but you can still pay by credit card via paypal, just click on the buy button and go through the process, and choose credit card for payment. Note that at certain times it may indicate "payment timeout" at the PayPal site if you were too slow in entering the payment information. So make sure you have all the information available ahead of time. If you have problems or further questions and need answers, feel free to submit it via this feedback link. 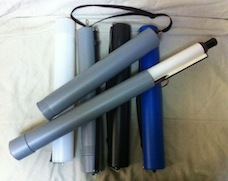 Each scroll order (not posters) comes with a free plastic shipping tube that can be used for long term storage. 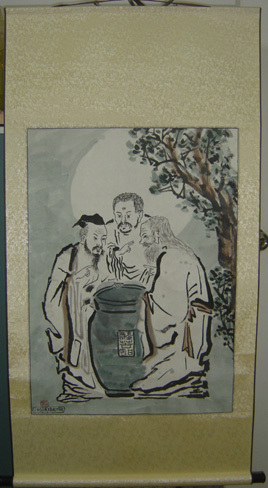 Confucius has a sour look as he tastes the vinegar. Buddha has a bitter look as he tastes the vinegar. 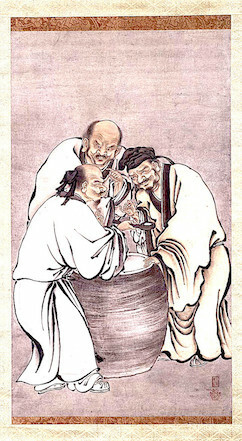 LaoZi has a smile as he tastes the vinegar. Note this comes in a scroll. Click the Vinegar Tasters link to see actual product. 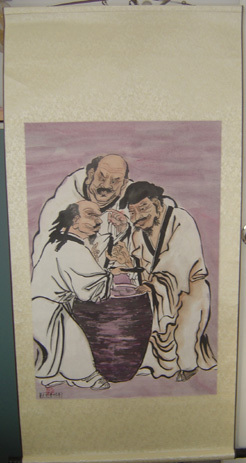 Clicking on the "BuyNow" button above to purchase next available serial number of this scroll painting. Dimensions: about 2 feet wide and 3 feet tall for painted portion. Add 2 feet to the height if scroll portion included. An alternative version. 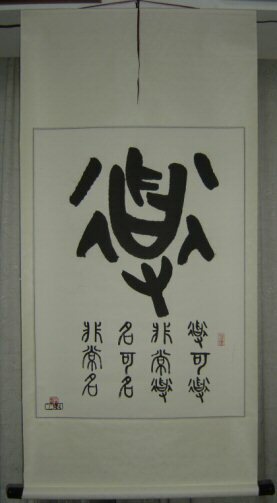 Note that this is a POSTER, not a scroll. Dimensions: 2 feet wide and 3 feet tall approx. Click on the "BuyNow" button for the scroll painting instead of this one if a scroll is what you want. All shipments have delivery confirmation service included, but not all countries are able to handle international incoming delivery confirmation tracking from China. Delivery confirmation tracks parcels when the plane first leaves China. For some countries it starts the day or day before delivery to your door near the end of the 4 to 5 weeks delivery period. It all depends on whether the databases are linked between China and your country, so check with your local post office for more info. At this time, Norway, Canada, and United States have been confirmed to be able to track this service online. For other countries, visit World Depot, click on your country, and then visit the Postal Service link on that page for your country. If the website supports track and confirmation service, enter your tracking number. You can also visit China Outbound Parcel Tracking (input delivery confirmation number in all capital letters), which allows you to track when the package left China, but destination side you need to visit the website of your country's postal office. 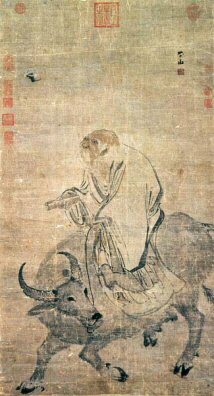 Do you own a website with topics related to Taoism? Enquire about income opportunities via becoming an affiliate by leaving a feedback.